We live in a fast-paced, sensory-bombarding world. Raising two kids in New York City, the days and weeks whiz by as quickly as an express subway through a local station. Finding ways to slow things down and connect with my kiddos one on one is crucial. If you’re nodding your head, maybe you’ll recognize a question I find myself asking daily: Where did my precocious six year old stumble on that random factoid, wild idea, shockingly new vocabulary? I bet you also know the trick of trying to use such random comments as an opportunity to tease out some enlightening and/or meaningful conversation. That’s the dream. How it works with my Boy who has ADHD? Just as the light of some real talk seems to be peeking out, Life happens (or a shiny object skips across his mind’s eye), and the moment is put on hold. Once you circle back to the topic your kid has forgotten what they wanted to say. It is one of the most frustrating parts of being a parent. While I can usually spark a conversation about all things LEGO, Star Wars, or all the adventures of Dogman, I’m sometimes less than enthusiastic about the topics my son will excitedly ramble on about. And rare is the child who is going to give you a detailed account of classroom discussions, or the silly adventures from the playground. By now you may understand how TiffinTalk‘s cards have become a trusted piece of my parenting toolkit. Why? Because every morning my Boy and I have a few new questions to think about, and at the end of the day, we have something besides “what did you do at school today” to chat about. Conversations that aren’t related to TV shows or the coolest apps. 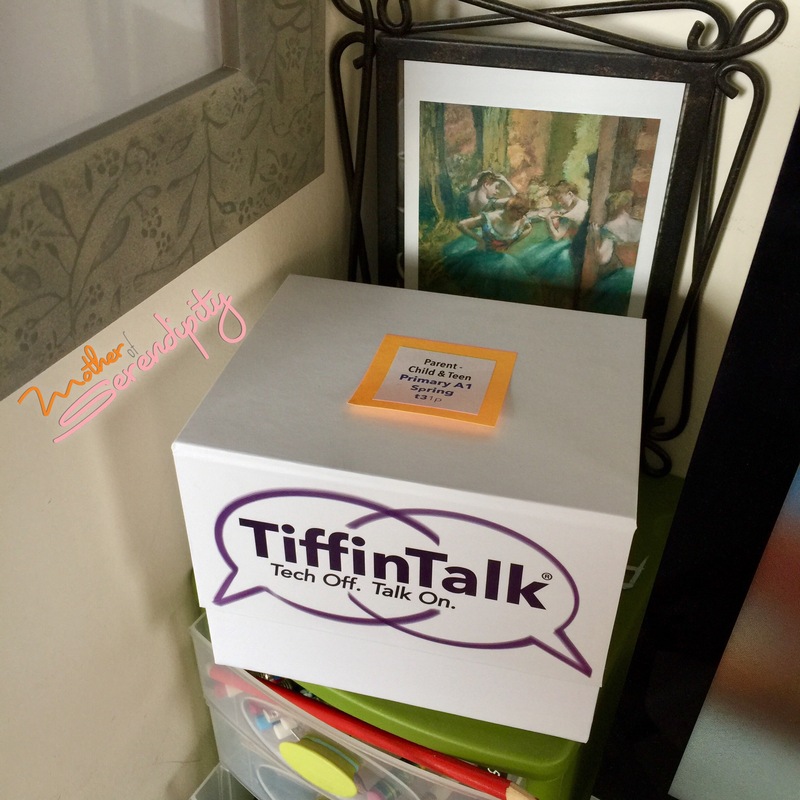 When I first received our box, I discovered the TiffinTalk cards are organized into 13 weekly themes. Our set, which is tailored for not only my son’s age, but the Spring season, has topics as varied as Memories, Train Travel, and Games. Five cards per week, with different questions each day, and lots of room to jot down whatever answers or new ideas develop during the day’s conversation. To be honest, my son and I haven’t tapped into the full potential of TiffinTalk. Ideally, you tuck the card in your child’s bag for school, they can read it over during lunch or on the bus, then come together for some one-on-one time at the end of the day. Introducing new elements to the Boy’s routine can be overwhelming for him, to the point of refusing to participate. So rather than giving him each new card to read and explore the “kids only” section on his own, I’ve put the box in my bedroom. Each morning I read over the card, then I introduce the questions to him as we get ready for school. When we have our snuggle time in the evening, I ask him if he thought about the questions during the day, and we spend time talking. Sometimes we pick up the thread of conversation from the previous day or week. Other times we veer off on a wholly different line of thought. Regardless of HOW the conversation goes, or what topic we are talking about, the most important thing is my son knows I’m curious about his thoughts and I’m listening to him. The cards are geared to help him develop his critical thinking, even as they encourage him to be creative. Obviously, expressing himself in these ways is something he’s practicing at school, too. But our chats are free of the pressure or worry about right answers. There is no fear of being cut off or interrupted. Frankly we are both learning to make the most of our talk time. TiffinTalk is helping us lay the foundation for the days when our conversations might be over morning coffee, rather than nighttime cuddles. I can’t help but believe we are building something special. Well-placed reminder: The TiffinTalk box sits in the corner of my desk, right next to my computer. Tech Off. Talk On. *This is a sponsored post brought to you by Real Mom Media. The opinions are completely my own based on my personal experience with the product. 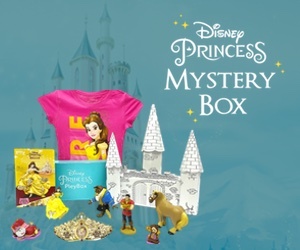 ← What Happened when I got my Daily Goodie Box?